Dr. Flores graduated from Lamar Univ. in Beaumont, TX, with a B.S. in Biology (2001) and a B.S. in Nursing (2004). He worked as an RN in the ER, CV-ICU, behavioral health, neuro-trauma, and rehab departments in Beaumont and Houston, while concurrently attending dental school at the UT Dental Branch-Houston. He earned the Anesthesiology Safety Practice Award and the Horace Wells Award for Anesthesiology. He attended the Univ. of Pittsburgh School of Dental Medicine, where he completed his specialty training in Dental Anesthesiology. He is dual board certified in Dental Anesthesiology and was awarded Diplomate status with the American Dental Board of Anesthesiology and National Dental Board of Anesthesiology and Fellow status with the American Dental Society of Anesthesiology.Dr. 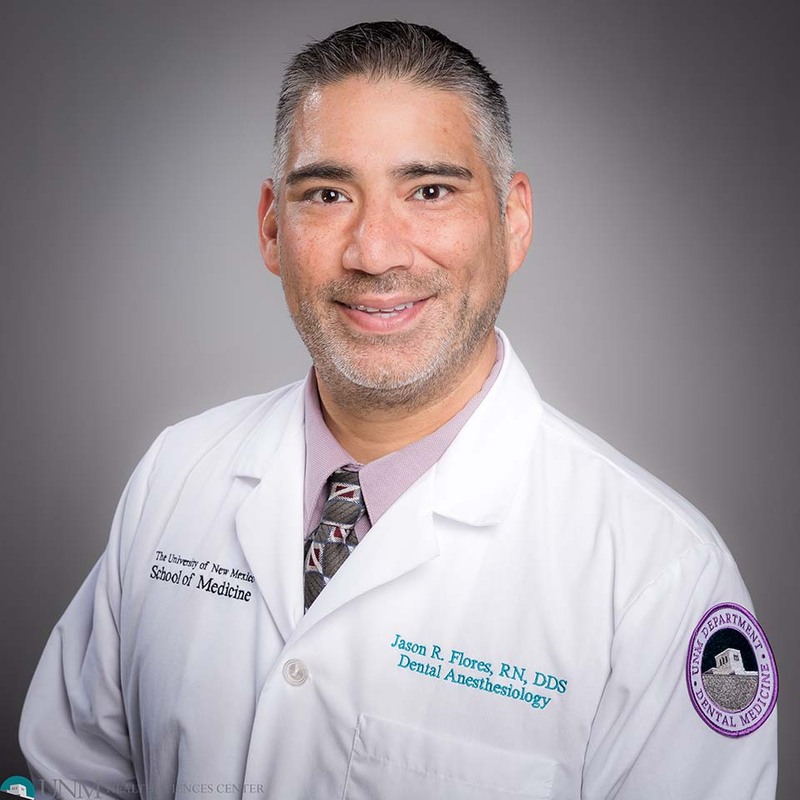 Flores completed his Masters of Healthcare Administration in 2018 and currently serves as Chief of the division of Dental Medicine, clinic director and director of anesthesiology for Univ. of New Mexico Ambulatory Surgical Center, assoc. prof. for the AEGD residency, and Chairman of the NM Anesthesia Committee.